Glowy: Lisa Folawiyo in Gucci Printown Fur Lined Horsebit Mule. Lisa Folawiyo in Gucci Printown Fur Lined Horsebit Mule. 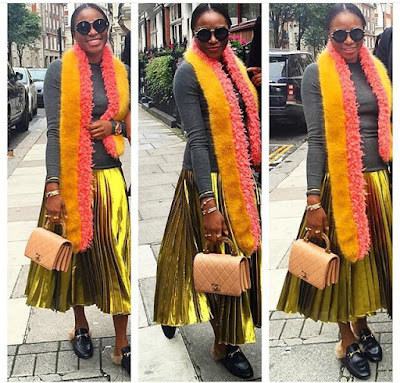 Lisa Folawiyo shared this beautiful pix of her elegant look few days back. The Nigerian Fashion Designer wore a grey long sleeve top on a metallic pleated skirt and then paired up with a Gucci Fur Lined Horsebit Loafers which is from this season's fall. 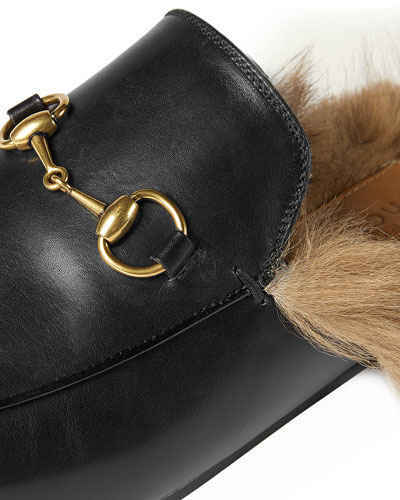 The shoe features a black polished leather,Dyed kangaroo fur lining, Round toe,Golden horse-bit detail. 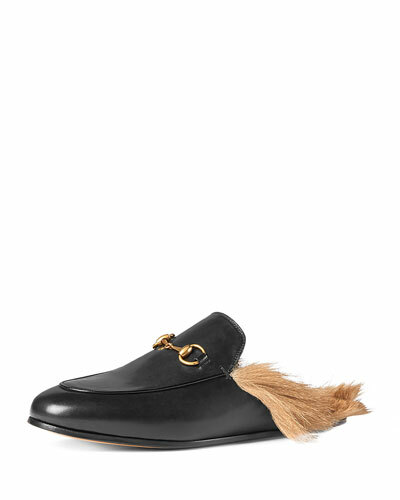 Fashion is evolving everyday..nawa oooa and the funny thing is that this shoe goes for $995 and its said to be the hottest shoe this fall...lol. 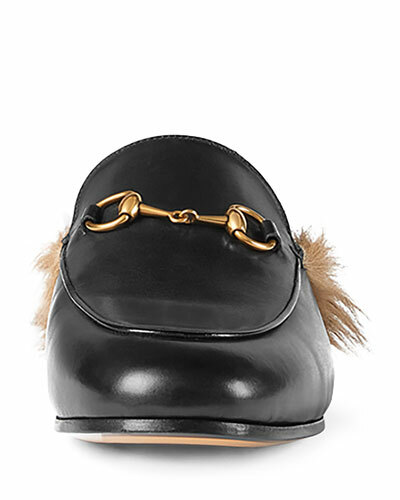 Honestly if am gifted with this shoe, i will beg the dasher to pls gimme the money equivalent. 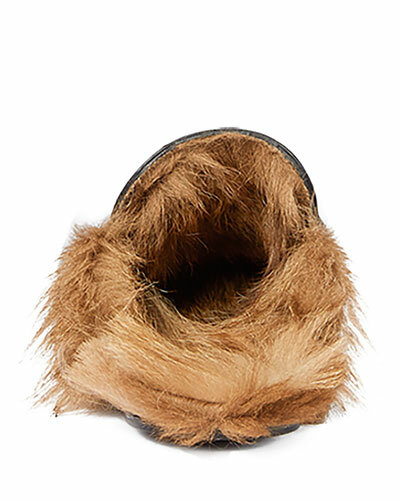 Instead of wearing this, i would prefer wearing a UGG slips honestly. 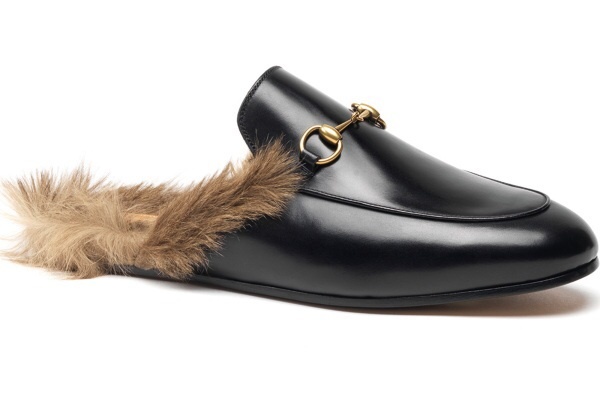 I was reading through people's feedback on this shoe online and this statement from a fashion publicist caught my attention...he said "Rubinstein says he’s been hearing about the loafers nonstop from his female friends and colleagues. But he won’t be purchasing the shoes for himself. I love this look with the gold! The shoes are amazing!!! Have a fun week! What kind of shoe is this one again Glowy? Don't dig the shoe at all. Hehehehe... Your describtion is funny.. I wasn't surprise when I saw the post. If you are following Lisa Folawiyo on instagram,you will know her love for weird shoes, sometimes I go through her page and am like seriously?